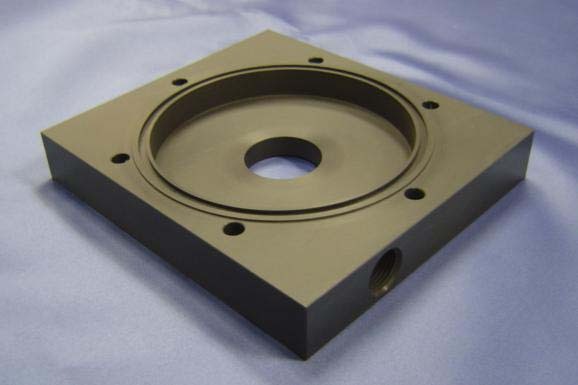 Hydro Instruments manufactures its equipment body parts by machining them from solid blocks of PVC stock, rather than injection molding of molten plastic. Machining is more expensive, but it eliminates the residual stresses from the molding process that lead to cracking and warping. The machining process also allows our body parts to maintain a much heavier wall thickness than that allowed by injection molding. These equipments will not crack or warp. 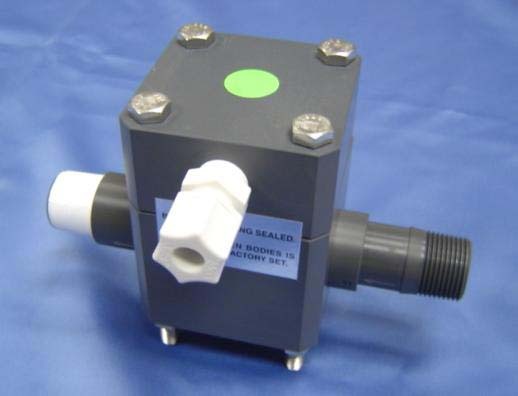 Hydro Vacuum Regulators, Ejectors, Remote Meters, Control Valves, etc.. all have solid machined body construction. Heavier Wall Thickness to avoid cracking and warping. The Hydro Instruments' ejector bodies are also constructed of machined PVC, not injection molded. This again allows a heavier wall thickness to avoid cracking and warping. Ejectors are available for back pressures up to 300 psi. The Hydro Instruments' rate valve stems and seats are precision-machined from the finest materials available for each intended chemical use. This ensures the operator's ability to accurately control the feed rate over a lengthy period of time. Hydro Instruments' offers a variety of Ejector check valve designs. We offer a unique self centering O-Ring seal, flat gasket seal, flat o-ring seal, ball-type and diaphragmless designs. The Hydro Instruments' main diaphragm is double o-ring sealed on the inner and outer circumference. This method guarantees a positive seal that will not allow any air to leak into the system. The Hydro Instruments' tantalum alloy springs have a lifetime warranty. We have never had a spring failure.